I don’t remember when I first heard the term Wildlife Rehabilitator; I just know I’ve wanted to be one for a very long time. My first experience with Nebraska Wildlife Rehab. Inc. (NWRI), was in 2000 when I found an injured squirrel in my backyard. A call to NWRI directed me to a private home not too far from my own. There, I was greeted at the door by a young woman who led me with my squirrel to her dining room table. With a large bath towel and a box full of stuff, she triaged the injured squirrel right then and there. When she was finished, she took him to the "Squirrel Room"…a room in her house full of stacked enclosures with lots and lots of baby squirrels (and a few baby opossums). I was so surprised to learn that she cared for the animals in her home. I guess I was expecting some veterinary-like facility with a front desk, cold tile floor, and staff. Although not quite what I had envisioned, I left with renewed motivation to become a wildlife rehabilitator…when my kids were a little older and we had more room! That time came in the fall of 2009. I attended a NWRI program on bats at the Nebraska Humane Society. There, I met Laura Stastny, the organization’s Director. Her knowledge and passion were so impressive! I completed a volunteer application that night, and it wasn’t long before I was a full-fledged wildlife rehabber, up to my elbows in animals! 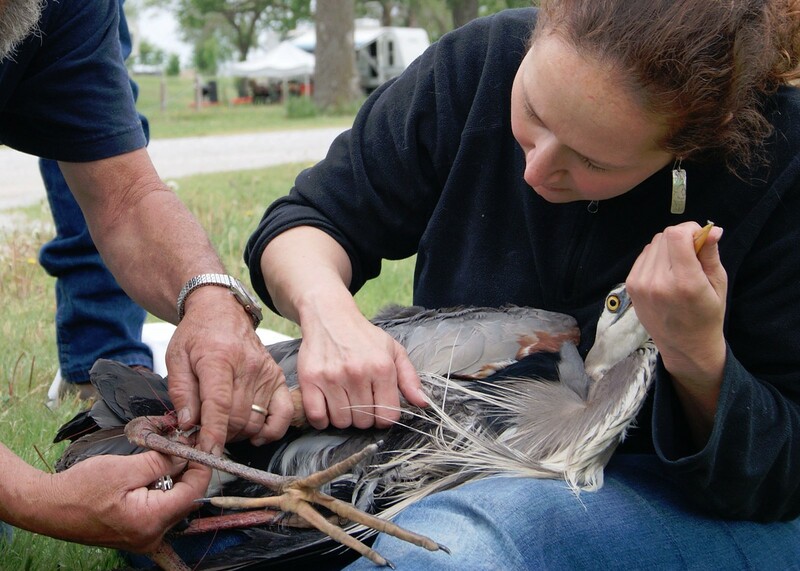 Nebraska Wildlife Rehab, Inc. has been a home-based, all-volunteer organization providing services to Nebraska and Western Iowa for over 30 years (under the current name for over 15 years). We are a non-profit organization of professional wildlife rehabilitators working under permits from the Nebraska Game and Parks Commission and the U.S. Fish and Wildlife Service and financially supported by donations alone. Each year volunteers rescue, rehabilitate, and release over 4,000 native wild animals and migratory birds, and provide hundreds of programs to school and community groups. In 2010, a generous donation by Ash Grove in Louisville gave us the use of a building as a “starter” center for our operations and a base from which to expand services. We are rapidly growing out of our current facility, and are now actively planning that shiny new facility with a full-service veterinary hospital, front desk, not-so-cold tile floors and larger staff! It’s been six years since I started working with the organization. It seems like ten, and I have long lost track of the number of animals I have had the great privilege to care for. That list includes beavers, bunnies, foxes, coyotes, raccoons, opossums, woodchucks, squirrels, mink, mice, voles, shrews, song birds, geese, ducks, turkeys, snakes, and turtles. Beavers are by far my favorite. The most fun? Definitely the mink. The most work? Raccoons! The most unusual? The 200+ tree frog tadpoles that resided in a tub on my back porch. The hours are long (think 4 AM feedings) and it’s hard and often dirty work. There are heartaches when animals die or have to be euthanized because, despite our best efforts, they don’t recover well enough to be released. There are frustrations when there are more animals to feed than hands to feed them; more animals in need than resources to help them. But there are rewards. Big rewards! Working with dedicated, caring people who have such passion for helping and preserving our native wildlife, sharing animal stories and connecting the public with nature, and relieving the pain and suffering for animals who come into our care are definitely some of the rewards. But the biggest payoff, the one that makes it all worthwhile, is witnessing an animal’s return to its wild home.